Hello Sweeties ✨ Welcome back to my blog. Today I'm going to take this opportunity to come out with something that could open up your mind and also hoping to share a deeper understanding about my full time job with you guys. As you all know, I have been blogging for years. I started my blog when I was 16 years old. I shared about life when I was a student and I ranted so much about my classes on my blog 😂 I never ever once imagined this blogging hobby of mine could become my future full-time job. This blog is something that I'm very passionate about, and I’m really proud of it. 10 years ago, there wasn’t a career called ‘Blogger’. No one in the world including myself knew one could earn a living by blogging. I never had anyone as a mentor to guide me throughout my blogging career. I guess I just got really lucky and as I am typing today, it’s been 10 years I am sharing my thoughts on my blog and I must say my friends and followers, this journey has been amazing and I appreciate the support from all of you! The years after graduating from University have been tough for me. There were ups and downs, good ones and bad ones. There were times where I just kept crying non-stop because of the risk I took for being a Blogger. Through the breakdowns I wish I had the chance to explain about my job, taking the opportunity to share my passion but I was so afraid to speak to my parents, or to the public. I guess no one really knew the term ‘Blogger’ and no one took the job seriously as well. Up until today, there are people who don’t consider what I do as a profession. I have always gotten questions like ‘so what is your job about?’. I always have the need to think of a perfect explanation to share my job scope and when I do, it would turn out to be a 3-hours long of explanation. To be honest, the most difficult part of all is to explain my job to my parents. I rarely talk about this anywhere as I might not be the best at expressing it. I intended to tell the world what does a blogger do, life as a blogger and etc. The main reason behind it is because I’m getting exhausted at answering the questions, especially to the elderly. They do not understand blogger’s obsession Internet, phone and laptop. Secondly, I want to put down my answers here once and for all. In the future, if I ever get questioned again, I should just show them this post. I often receive emails and messages across my social media. It can be as many as 100 of emails per year, asking the same question. Some queries are cute and funny; some are just… make me want to puke. To make life easier, I finally decided to write this post with detailed explanations, including our job scopes and everything you might be interested to know. Hopefully it answer all of your doubts and at the same time, I hope everything here can shape you an idea of what it takes to be a blogger and earn a living by doing all of these. Also, I hope this post could make others appreciate our work, posts and understand that we are not just someone who only know how to smile in front of the camera, with pretty faces and zero knowledge. Good question. What does blogger do? If I were to really break it down, I am confident it could change your mind about Blogger. Blogging, by the first impression, it sounds easy and straightforward. It sounds as simple as taking a few nice photos and type out the information on our laptop. If you could follow me to work just for one day, you would know the amount of work is crazy. Since I have decided to be opened about this, I will make sure to write as detailed as possible and let you understand more about our job. As a blogger, we earn money from the amount of advertorial (ads) we work with brands(we call them clients). So now, think about blog like a copy of magazine. There are photos included on every page, curated contents and advertisements. When you flip the pages, you always find ads in between pages. Same case, when you watch TV or YouTube, there are ads running in between clips/show. That is where all the advertising dollars are spent at. There you go! That's the simplest form of explanation I can come up with. But really, what does a blogger do on a daily basis? Give myself 2 years time, if it's not what I want, I can always go back to working in a bank. If it's something that I'm passionate about and can really mold me to who I am today, then I will not give up and continue doing what I believe in. So that was what I told myself 4 years ago. Now I'm 26 years old. If you ask me if there is anything I regret about, the answer is NO! The only thing I knew when I was 22 was that 10 years later I don’t want to be disappointed by the things I didn’t do than the ones I actually did. So I invested on cameras, digital gadgets and laptop using my little savings. I didn't buy any expensive car and I couldn't even afford any branded bag at that time. I earn every single penny myself to get what I want today. I work really really hard. What people don't know me is that I put a lot of effort in blogging because I'm not born in a wealthy family. Since I started working, I paid for my school fees, insurance and etc. With more savings and jobs that I've worked, I now can afford to rent a studio apartment! I do not consider myself as a smart person but I am for sure a very hardworking individual. Physically, I am not pretty as others. But I have to admit, I have a lot of ideas in my brain sometimes it's crazy! I have always loved talking to my friends, learning new thing everyday and share it here on my blog or Instagram. That's why until now, I still share things that I like, even if it’s bought by my own money. Back then, bloggers write reviews and share things without even getting paid. Nowadays, everyone wish to be an influencer or blogger just because they think it's fun and earning money from this ‘easy job. The process of becoming an appreciated blogger is the hardest for me. It took me around 9 years to build my sweeties family and followers on my instagram. The amount of effort I put and invest… it terrifies me but at the same time, it is one of the things I am most proud of. The number of sleepless nights I had... The people joking about my job... I never blame anyone as I know if I can achieve it, one day they will look at me and respect me and my job. And then finally, reality kicks in. All these do not happen overnight. Drafting a quality blog post can take hours, or even days. From imagining the outcome, the photos to put in, what to write, or how to conclude... Yes it sounds just like writing an essay in school. Simple essay normally takes 2-3 hours. In my case, depending on the amount of photos to edit, I always plan ahead in schedule to arrange photo shoot and etc. It will roughly take me about a week time to produce a complete informative blog post. If it's traveling blog post, it will usually take me about 2 weeks time to produce one. In the past, I feel depressed sometimes because no one recognise who I am. Instead of feeling down, I told myself to just continue doing it. Most of the time, I spend from my own savings on buying new products or trying new services to review. I also travel to new countries, exploring new things and just keep writing. That’s what I did (and still doing). Just keep doing and keep writing, the opportunity will knock your door. My opportunity came into email box where I got paid to travel to a new country. I also got the opportunity to work with the brands I genuinely like. Taking this opportunity to say a big Thank You to the brands, my clients who were willing to work with me and appreciated my work for the past 2 years. Without their support, I won't be who I am today. I appreciate that they acknowledge my strengths by letting me execute whatever I wish without interfering much on how I share my content to my followers. They, too, appreciate my effort and always give me discount code for my followers without hesitation. I’ve made true and real relationships with them and I feel I'm appreciated by doing all these. Sometimes, I receive emails and messages from followers and readers telling me that my posts are informative and helpful. They use the information as their guide to travel and they love it (I love it too). They love my recommendations and willing to give the products I recommend a try. This relationship is one of a kind and what I love the most is that, these followers are not necessarily my real life friends. But they trust me, they spend time to read my blog. When I want to feel motivated, I always go back to reading all the messages they sent to me. I have one album named ' Sweeties' on my phone. This is how I motivate myself when I feel demotivated and sad. She's older than me and I have never expected someone who really appreciate and understand everything I wrote on my blog. Maybe because I grew up in a typical Chinese family, my parents never appreciate what I've done. In fact they always tell me it's not enough and I never feel appreciated until I became a blogger. I appreciate all of my followers and clients. Sometimes, I get demotivated if I happen to meet people who don’t understand the industry. They simply love to make fun of my job and always say ‘what’s so hard being a blogger? Just be pretty and take nice photos lol.’ Quite sad right? It’s okay. Don’t need to please everyone. I take it as my motivation drive and compliment! I didn’t know I can influence people through sharing on my blog and social media. This is the power of social media. Sometimes I ask myself, what have I done to deserve all of these. I don't even know the answer. I'm an emotional person, writing this post got me tearing like hell already. Sorry for all the grammar mistakes because I really just want to express whatever in my mind without proper check lol. If I do visit this again, I will probably shorten 50% out of this post lol. People take social media as a platform to share things. To me, it is slightly different. While I agree it is a great platform to share, this platform has become a responsibility. I came across at people who post half naked photos on Instagram just to get famous, I feel really sad about it. What if the person’s followers are just a bunch of young girls? This is how it gives parents the wrong idea of social media. Then what if they grow up doing the same thing, telling themselves they can get famous by just doing the same? Well, maybe I'm taking that too seriously lol. Looking at all my cousins who are really young, I noticed they wish to be a famous instagrammer or influencer. And the reason is simple, they think it’s an easy job and it makes them feel alive for having big amount of followers. When I was at their age, I studied very hard but now all these bunch of kids are asking their parents for either a pair of expensive branded shoes, taking photos and showing off to their friends; or taking half naked photos. My point is, they are still young and cute and they should be innocent about things but the power of social media is influencing them in another way, and it is a serious issue. Also just to be clear, being labelled as someone famous is not fun at all. Maybe I’m old already. And I love my blog even though the young girls don’t really read my blog. The trend for them now is watching funny YouTube videos as compared to watching informative and useful videos. They don’t know how to differentiate good and bad. They barely spend time to read anything, just blindly following what’s the trend. Therefore I can’t seem to have good chat with my cousins nowadays lol. They are either comparing their Adidas limited edition shoes or watching clickbait or prank videos. Which I totally have no idea what they would gain from watching those videos. I think I am dragging this too long already and somehow out of topic 😂😂😂 But you get what I mean right lol. The biggest skill that a blogger should own is no other than Multitasking. I am myown boss and it feels like I am like running my own company lol. Meetings: I meet clients and brands to talk about our projects and campaigns. Some bloggers out there have managers, if that’s the case the manager will be fully in-charge of all the dealings. Brainstorming: Ideas and research online. It's all about how to come up with a content that shows my creativity, meet client's objective, helping the brand to create awareness for their campaigns / projects. Also at the same time have to match my own style. Proposal: I never thought I would go back to my assignment life like what I did in my uni years. Sometimes I need to prepare proposal for brands to present some good ideas and content. Depending on the amount of work and how much to discuss, it might require meeting them physically at their office or sometimes just through email. Taking Photo: Also, I am the photographer for all of my photos. The content created always paired with photos. The hardest part is to plan the shoot. From locations to sourcing outfit, deciding on the color and mood board and etc... Everything is planned based on my imagination at the first stage. All these need proper plannings and lucky me, I have my team to help me on this now because I simply can't work everything out myself anymore. Videography: I also do video tutorials because there are times when words and photos can’t really express the process. Nowadays I focus both Instagram and blog, so I also come out with video content. Editing: This is also the most time consuming part of my job - editing the photos and video. Sometimes I pay and hire a team to help me on the editings, but of course it depends on job requirements and budget. Sourcing: I do sourcing most of the time. Whenever I see something that suits my style, shoot or job. I also source for props, accessories and outfit. Attending and event appearance: I plan my outfit and makeup based on the event’s theme. Other than that I also need to plan what to do at the event and what to take note on the product launch. I am always ready to meet new people and job opportunity! Accounting and creating invoice: This is the most boring part, also what I hate the most. Creating invoice, bookkeeping, gathering all the invoices, label each invoices correctly, printing and just those admin behind the scene stuff you might not be interested in lol. Stuck in the jam and be the driver for my own: This one is scary. If for the whole day I have just one meeting or event, I can't even work on my blog anymore because let’s say the event is at 2pm, 10am I need to wake up to check and reply emails, get myself ready and leave house by 12, near end of event should be 5pm already and it's the peak traffic jam hour. Back home finally by 7pm, dinner and take a shower. There goes my whole day spent without working anything on my blog lol. Scheduling and planning for my weekly schedule: I actually don’t know how I do this but work, family and relationships need to be a balance for me. I need to plan ahead and I make effort to go back to my parent's house every week. Despite from the amount of work I have, I'm still able to stick to it which I'm quite proud of. Although sometimes I get really stressed up because events and dates might clash and pull off from my plan. Payment: Follow up on my payment, chasing payment like a big loan shark and take down all the details of the payment. Meeting with new people anywhere, anytime: I used to just hide in my room and concentrate on blogging, but since it's my career now, I have to step out of my comfort zone to take this opportunity to meet new people in the events or meetings. It’s quite a challenge for me. The hardest for me is to remember each of their names 😅😅 I remember all their faces but sometimes I feel so guilty because I tend to forget some of their names. I guess I need to increase the capacity of my brain haha! Flexibility: The best part of being a full-time blogger as compared to 9-5 job is the flexibility of my hours. My schedule is really flexible but at the same time, being my own boss also means that I am taking the full risk of my job. Whether it's success or failure, I am the one who responsible for my own. Time Management: I gotta say not everyone can manage their time well. I learned from plenty of mistakes and failures. As a full time blogger, one need to have a good time management skill, otherwise you will just slack and be lazy. Plan the posts ahead, schedule properly and plan everything ahead so that I can have good work and life balance. Plan like a PA lol. Working with brands: This is what I love the most. Can you imagine my excitement if I get approached by a brand that I’ve been using for years? That was one of the best moments although sometimes working with brands can be quite stressful. Some of the clients are really open minded and very down-to-earth; whereas some of them don’t really get the idea of the industry and they will just keep negotiating and end up like a bully. They generally think it is an easy job to post a content on our platforms. Most of the time, I am only willing to work with the brands I trust and personally experienced or used before. Otherwise, without any knowledge or personal experience of the product, it's hard for me to come out with ideas and share the content. Followers will know it from the way you write and content you create. Unstable Income: This is something that you might not know, the unglamour side of being a blogger or influencer. It is not an everyday thing that we get to work with brands. We can't guarantee any fixed salary every month. Unlike a full time job, you get paid every month. We can't take a gun and force client to give us job every month. Therefore if you are considering your career to be a full time blogger, first you must have a certain amount of savings that allow you to survive when you have no income on that month lol. It's actually very sad lol. The income range also quite vary! You can imagine it like a heartbeat graph, it goes up and down with no fixed patterns. Opportunities: What I love the most about being a blogger is meeting new opportunities. From writing blog in my own room to exploring new country and traveling to new places every time. I always meeting new people and constantly stepping out from my comfort zone. I even got opportunity to be on TV, magazines and featured on other channels. Also, in recent years I started working with even more brands and I have had couple of workshops hosted! Speaking of which, blogging really has helped to open up my world. I'm so glad that I have never given up on it and really really thank you to all the people I have met through my blogging life. Life = Work: Need a strike a balance between work and personal life. Most of the time my life = my work. While my work is flexible but it also means that I need to work every single day. Regardless it's on holiday or not, I need to reply emails at night and follow up on it lol. Quality not Quantity: I focus only on what I like and create quality content for everyone. I never aim for quantity but QUALITY work. I know it's hard but I won't give up. I only accept and work with the brands that are suitable and useful for my audience. The amount of jobs that I have rejected can really get me a luxury life but that's not what I truly want. If I say yes to every job which I can easily get paid with, then I will lose focus. My ideas and everything might end up not be as good. In short, Chanwon is quite picky 😂 But you know... you get what you paid for.... Therefore I only work with clients who appreciate and see my value. Otherwise, if the amount can't feed my soul and also my team members, I guess nobody else can help and believe in me. I am glad that I’ve met wonderful people through my blogging journey. There are also people who never appreciate your work like I mentioned before. These people tend to blame you for their fault and also not taking the job seriously. This is what we need to learn in every industry - regardless of what job it is, there are people who negotiate and judge your work and ask you for free services in exchange for something that only benefit them. You get what you paid for, period. No free meal and free skill to solve your problems my dear. It's my full time job and I earn a living by working a solution for you as a blogger. I'm so tired to even explain further because not everyone know my job scope really. But I never blame them. There is nothing FREE in this world. When client gives items for free, it still requires my time and effort to come out with content, how to share the experience and joy with followers. If it's purely a PR gift then I'm more than happy to accept, try it and see whether it's suitable for me. If not, I still pay for the things I like and share it on my blog. 所有的解答都是有價值的 I never ask anyone to give me free services. I pay my photographer and assistant when they accompany me to events or help me on some of my work. So stop asking any full time influencer and blogger to give you free services. I get paid for the amount of services and content I provide to client. Client contact me through emails and I get paid for the content I curated for them. I come up with ideas, content, shoot video or photo for them. 10 years ago, there is no such thing as earning from blogging but nowadays social media needs a lot of photo and video type of content, so I get paid from that, and it only started in recent years! The past 5-6 years I’ve been working without gaining any profit and money from my blog. Some of the bloggers get paid for product endorsement and also being the ambassador for the brand. It's depends on what the client wants and what the bloggers can give in return. Sometimes, I accept job from agencies through emails and most of the opportunities come in email form for me. As a blogger, I can't force them to work with me, the only way I get recognized is to keep doing until they are interested to work with me. So if you just started your blogging career, no worries because I am doing the same for 10 years already and only these recent few years I can confidently say it is sustainable. Every job has its pros and cons. There is no perfect / easy job for everyone. It all depends on whether you are doing something with your passion and if you are enjoy it. If this is something that you hate, no matter how much you are getting paid, you won't be happy. We only live once, if there is something that you are happy about, give it your best and someday you will get the life you want. Most importantly, always work with passion, be consistent and always stay humble. There are people better, smarter and prettier than you. Always stay humble and take every opportunity as a process of learning. When things turn bad then tell yourself, 會過去的. You can get over it and become a stronger you. I'm not sure how long I could live but as long as I'm still Chanwon, I will continue to share with you guys, updating my blog and no matter what, I'm still the potato blogger, Chanwon. I wish this post answer all of the queries and if you think it is easy to become a blogger then go ahead. In no time you will discover the amount of time and effort that you need to put on it and most importantly, you will get to see what are all the things hidden behind the curtain. Public only see the perfect photos on social media not the blood and sweat and tears behind the scene. So yes, again, hope this blog post can give an idea on what bloggers do and how I usually work. 世界上所有工作都有它的難，他的好與不好。只是看你對這份工的看法和熱情！大家一起加油。 I started from nothing and because of all the opportunities given, I need to say Thank You to each and everyone of you who is reading this, supporting me since many years ago. Thank You from the bottom of my heart. Chanwon is growing but I will never forget why I started this and how it changed my life. Every obstacles make me stronger and I will always learn from the mistake, no shame. I love you guys and if your friend always ask what do bloggers do and curious about our lives, feel free to share this with them. I hope I don’t have to explain it again and again. Bloggers are not someone who only know how to be pretty and look good on photos. I hope everyone get a better understanding my job (and other bloggers’) and treat our job and services professionally moving forward. That's all for my sharing today. See you on my next post. Love, xoxo. Thank you for everything too. You too put a lot effort on your work. Hope all the best for you. sourcing, editing, photography...all kols also need to do this right?? if not how you want to create content? what i want to say is, a lot of people are also hustling. dont think you are the only one who is hardworking in this world. yes, you are really hardworking, but dont need to play pity by telling people how "HARD" your job is. trust me, everyone's job is hard too. Feel free to use your real name and let me know who you are to comment. Dont hide your identity. I drive from east to west stuck every single time. Just expressing my thoughts on my blog, if you dont like it or feel it's unnecessary then just read and forget about it. I meet new people everyday that's the truth and saying this make you feel unhappy maybe my blog not the place for you. I writing this out to let other understand about my work as a blogger. All KOL , Blogger influencer did this. I just tell on my blog I have no idea why there are people like you who read it and feel in such way. Did any of my sentence mentioned about other job is easy? No man. I can feel you are really an unhappy person. Maybe you should really make time for yourself and do something who can add value for others. Not leaving useless comment using anonymous name :) If you feel bad, use your real identity to talk to me. I must say you are one of those super hardworking and genuinely believe in sharing good stuff with people. We’ve seen you growing from baby chanwon to the chanwon today. You have come a long way. And to the anonymous, you have to do more homework before you made the comment. You have misunderstood the context. Chanwon never said her job is more difficult than anyone else. She was just explaining how it’s not a sole glamourous job. I’m the person that you described, waking up super early and works till midnight but still I appreciate the hard work Chanwon put forth in delivering good content. Please do understand the context before you jump to conclusion. Good bloggers like chanwon needs more positive vibes and encouragement to keep going. Feeling shock with the comment above but thank you for saying it for me I know there are people choose to see the darkest side of everything. That's their choice and I can't force him to think and see like how I see thing. Appreciate your time to comment on my blog. Did someone pointed a gun at you forcing you to wake up at 6/7am every day just to get to the office by 9am? Are you being forced to bear the morning traffic to get to your work? Were you being threatened to finish your work until 10pm? If not, please be responsible to the choice that you made in your life. We are humans, we know that we need money to live and we can’t get money for free so the only way is to work to earn money. Money doesn’t comes easy. You have to sacrifice something in order to earn money. Everyone does so Respect. 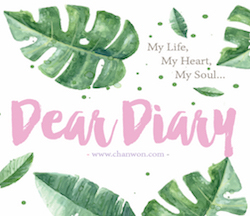 For ChanWon, she sacrifices her personal time into blogging. 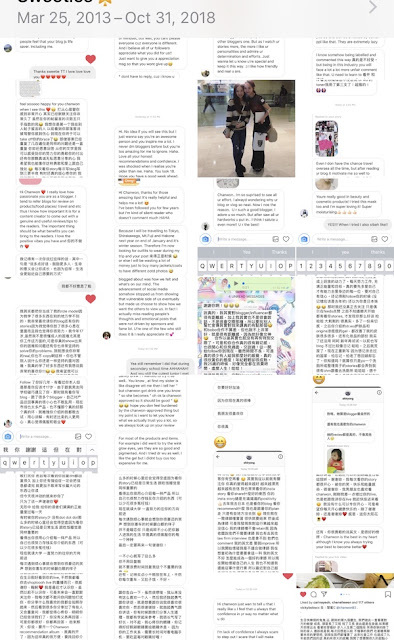 From what she said, working as a blogger, she has to reply emails and messages all the time even she is at oversea. She rarely has 100% of her own time. However, she doesn’t need to go to the office regularly at the same time everyday and she has the freedom to choose which client that she wanted to work with. As you can see, there is always a sacrifice behind something that you are gaining. It all depends on what are you willing to sacrifice and does it worth for it? Well, this comment is only sharing just like what I think ChanWon did for this post. As a blogger myself (now consider not so active) I do agree with your writing and efforts in creating a nice piece of informative/helpful blog post is not easy at all. Things have changed and now there are more social media platform to adapt to. But Blogging still has its niche market especially when need to elaborate more on certain thing (eg. 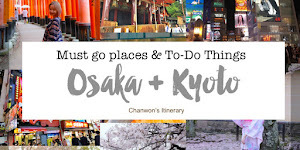 Travel itinerary is one of the hardest post to write but most helpful to the audience). That's why I'm impressed with the travel posts you did so far. That's all. Stay awesome as usual!! TianChad T.T You are always here to support and give me a comment! Thank you for your word and you are such a senpai for me. Yes maybe I don't understand the reason behind all those meaningless video but just yes, I love doing things in my own way. You too! Jia you together! Can't wait to see the little tianchad! Hi Chan Won, thanks a lot for sharing! Blogging is an industry that is quite unfamiliar to everybody as they just see the shining side of it like million followers, free products to try, free skincare/clothes supply etc. Thanks for sharing the other side and what a blogger really do on daily basis! I would say a blogger is like the combination of photographer, PR, admin, accountant, designer, marketing in one. This is like you are doing a new concept of 'business' and the brand is yourself. Keep up the good work! Yes, like having a one man show business! HAHAHAHAHA But it's fun tho. I met a lot of new friends throughout my journey and seeing them grow as I am just make me feel really happy! Thank you for your comment. Back then I also didn't gain any profit from blogging. Doing modelling for blog shop when I was still in uni probably earn only RM250 for the whole 9 hours shoot. HAHAHA But you know that's experience maybe when you having this as you hobby and suddenly you found something more than that? I ran across your blog doing a search for Purikura, (there was an article in the new york times), You have a very charming style, keep up the good work! I strongly believe if you love what you do, you don't have to work a single day anymore. You are consider lucky and successful by founding what you love and able to do it as a full timer to sustain your life. I still kinda lost in my life, don't know what I actually like or what I wanna do with my life and now still stuck with 9-6 job. If I could then I will hire someone to help me on that hehe! Everyone felt lost in our life, it's not matters of age or experience but just hope that it won't drag you too long. Sometime you found your purpose of life when you feel lost. There aren't a bad thing to work as 9-6 tho. My bf and bro do work for a full time job for9-6 like yours too. thanks for the tips!!! if i know it have a little be fun i am sure i will told my past self for start blog 10 years agoo!!! Hi, Chanwon. Can you teach how to become a blogger for earning some money? I'm a Singaporean living in Tokyo right now! Reading your post makes me want to blog again! I do agree that to write/curate a good blog post, it does take alot of time and of course brain power! Nothing is easy in this world, and I really envy you for taking the big plunge into this industry because no one knew that blogging will become the next generation of marketing. I doubt I can take this big step, but will try my best to write more! Thank you for this inspirational post! !